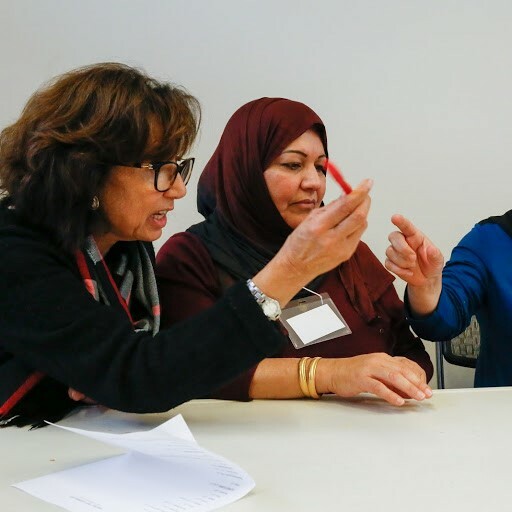 The Women’s Empowerment Group is an important component of the RS program that addresses the unique challenges that Arabic-speaking refugee women face. The group will meet in 2 cycles for 2018. 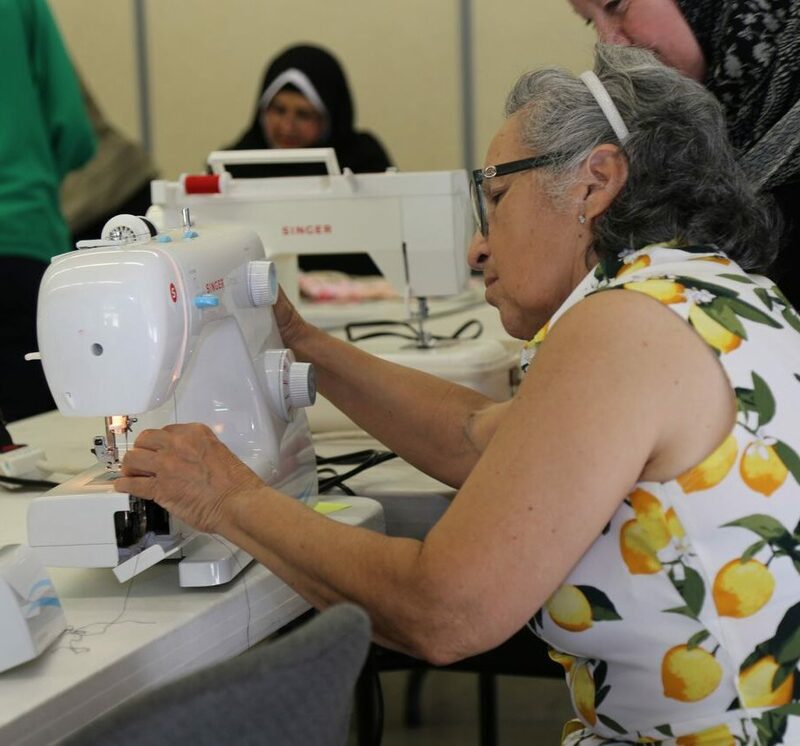 Each cycle consists of a 10-12-week period with additional activities, such as sewing classes, swimming classes, meetings taking place in the summer and mentorships by volunteers. 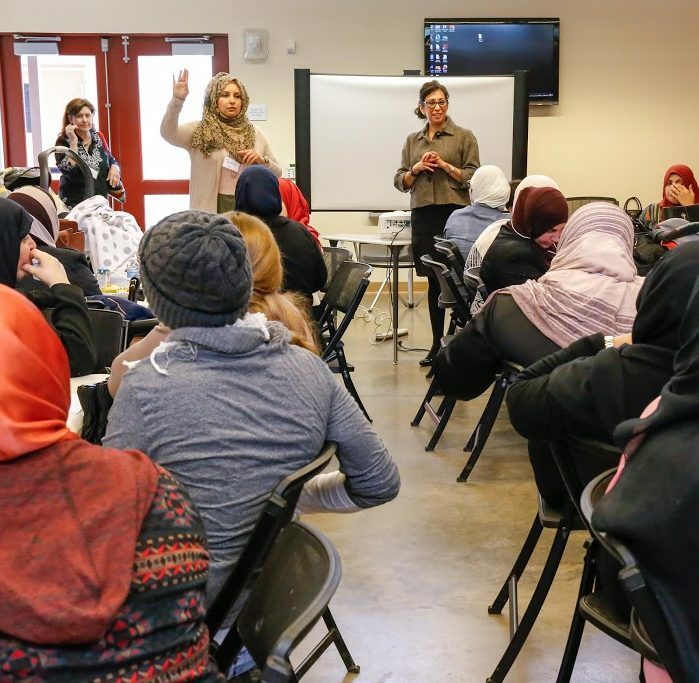 The goal of the group is to empower refugee women by creating lasting connections with the community and building a network of support between each other. 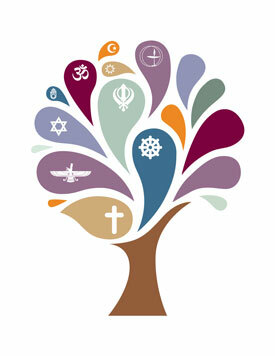 The group provides a friendly, safe and child-friendly space each week. The free space is provided by a community partner – Baker Ripley (6500 Rookin St.). Volunteers transport the women and their children to and from meetings each week throughout each cycle, thus creating a stronger bond and a space to connect. Many of these connections become long-lasting. We are also compiling information on affordable or free summer camps for the children. The group consists of approximately 35 women and 15 small children (both girls and boys). The women are primarily from Iraq and Syria and the group is open to all agencies. • Integration into the Houston community – this will be achieved through informational sessions, connections to volunteers for mentoring as well as volunteer opportunities in the communities and schools that children attend. • Prevention of isolation – by providing a safe and child-friendly space to meet on a weekly basis, the women are creating a support network between themselves and the volunteers; they exchange contact information and do activities outside the group. • Workshops that provide useful information that the women can apply in their daily lives – nutrition, financial literacy, dental care, etc. Success will be measured by attendance, verbal feedback and short questionnaires after sessions. We also solicit volunteer feedback.